Why do developers choose Swift? Why do you like Swift? What are the cons of using Swift? What tools integrate with Swift? What are some alternatives to Swift and Cocoa Touch (iOS)? The performance of Swift is almost the same as that of C++, which is considered the fastest in algorithm calculation arithmetics. Apple had this idea in mind and worked to improve the speed of Swift. For example, Swift 2.0 has beaten C++ in several computation algorithms, such as Mandelbrot algorithm. Objective-C is slower because it contains C API legacy. 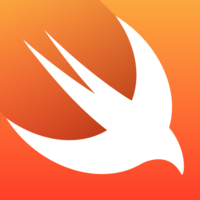 Swift is faster than Objective-C, because it removed the limitations of C language and has been improved with the help of advanced technologies that were unavailable when C was developed. As mentioned by Apple, Swift was originally designed to operate faster. Despite the fact that languages are different, they both integrate, and work with Cocoa and Cocoa Touch APIs, for all Apple platforms. Therefore, a regular app-user would not recognize the difference in operating speed between Objective-C vs Swift. Speed also depends on a programmer’s level and capabilities, since a slow app can be written in Swift as well. iPhone app, a new born language, it may good but the IDE, xcode is bad compare with Visual Studio. It just like a baby. playground can only use without connect to other library...you can not do a simply refactor of renaming a variable. You can go to definition and find reference, but you can not go to implementation....I should write them on xcode not here basically it is not the fault of swift, but it tightly to it, unless you want to use a notepad to write it. Most of our newer apps are written completely in swift, with our older ones and some special cases using a mix of Swift and Objective-C, but with Swift 2, the language is pretty much a must-use. "guard" is <3. 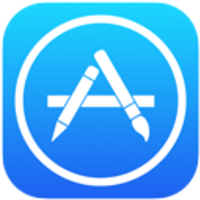 Most of the app code was gradually rewritten in Swift for better performance and code maintenance.